Since GM didn’t update the external marking on their fixed ignition lock design (it was simple, a slightly longer spring for the detent plunger) the company came up with a “fix” for the keys. It was a couple of pieces of plastic to fit into the long slot in the plastic key head. Those left just a small, round hole in the center. The kits also came with adhesive to glue the inserts and two cheap key rings, one to go through the ignition key and a second one to fit through the first so anything attached to *that* ring would hang lower. For vehicles without PATS that used plain metal keys, there were kits that encased the key head in a plastic clamshell, with the small, central hole. The idea was to attempt to keep off-center loads on the key from turning the ignition lock, rather than doing what they should’ve done – produce ignition locks without the problem, and properly identify them so their dealer shops and other mechanics could tell which was which. I never expected that people could have so many SD-cards that it would become a problem in handling them. Also I wasn’t aware that there could be a need to always carry every possible SD-card with you. So when I noticed this project I did some research and found out that more people seem to have this problem. Therefore I’m glad to see that this problem is solved in a very efficient/practical way. And I may be printing one of these myself soon, not because I really need one, but because it would look cool, as it’s a very nice design. I think I’ll print it in red and silver. I am a photographer and only have two cards which are either in my camera, or card reader. Any more than that and you run the risk of losing cards. So you are a photographer that uses only two cards. Other photographers use many. Weddings, social events, outdoor, camping trips. Many cards. It is a brilliant little idea, by the way. I’m a wedding photographer. We don’t take more than 2 cards per camera/shooter. We rarely use the second cards. SD cards are huge and (relatively cheap) these days. And you don’t want to come home with more than about 2000 images from a day – at that point you’ve got enough good ones. I hacked an old CF into an SD storage so on my camera i can keep the spare card inside the camera body – one less thing to lose, and my camera is strapped to me, so kinda hard to lose. But this could be useful on holiday, or shooting video, when I do use more cards. I’ll look into CNCing one, I’ve got some scrap oak about the right size I’ve been looking for a use for. This is its own micro-industry. 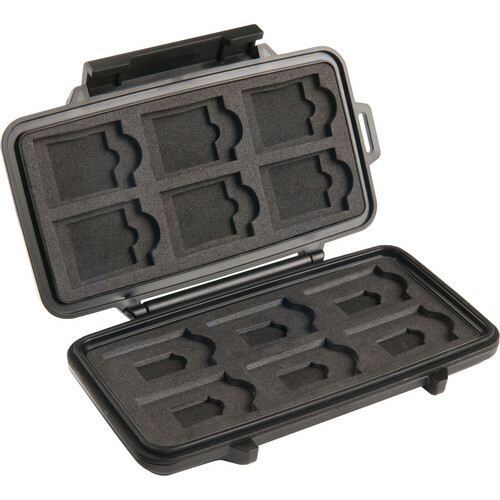 You can find soft-shell zip up carriers for a few bucks, hard-shell armored units that look like they’d withstand a .50 cal bullet (if you could actually hit the tiny thing) for outrageous prices from camera stores, and even a Pelican unit that is likely good to 100 meters in seawater. The usual puffery wrapped around camera gear applies. Unless you’re a well-employed pro photographer, have a bunch of remote cameras to maintain, or are carrying some kind of games, memory has gotten so capacious and so cheap that usually they’re just left in devices and read out once in a while. In effect, the devices themselves are the carrier. The rest of the time it’s a snap-top container swiped from something else. Can’t believe this is only just hitting the site. I printed one of these two years ago before going on holiday to store my camera cards. Glad to see it get she attrition is a great design but it’s nothing new. What works very well to store full size SD and MMC is one of those breath mint strips containers with the sliding lid. The metal Altoids style will hold two SD or 3 or 4 MMC. Some of the plastic containers will hold 3 SD. I’m quite impressed by this. I guess this would be a better fit for a photographer instead of a microcomputer nerd like myself. I personally much prefer to label my SD cards so that I know what’s on them (e.g. What OS for what device). With each SD card in it’s own slightly-larger-than-itself case I can easily label the contents of each card without any risk of damage to the card itself, along with being able to store any microSD cards with their adaptor. If you buy the wrong type you end up with the cards slipping out of place and possibly even out of the container. 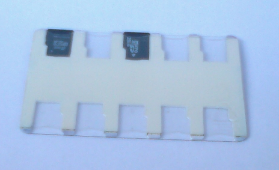 In short, the more bulky the plastic that’s forcing the card down into it’s outlined holder position, the better. 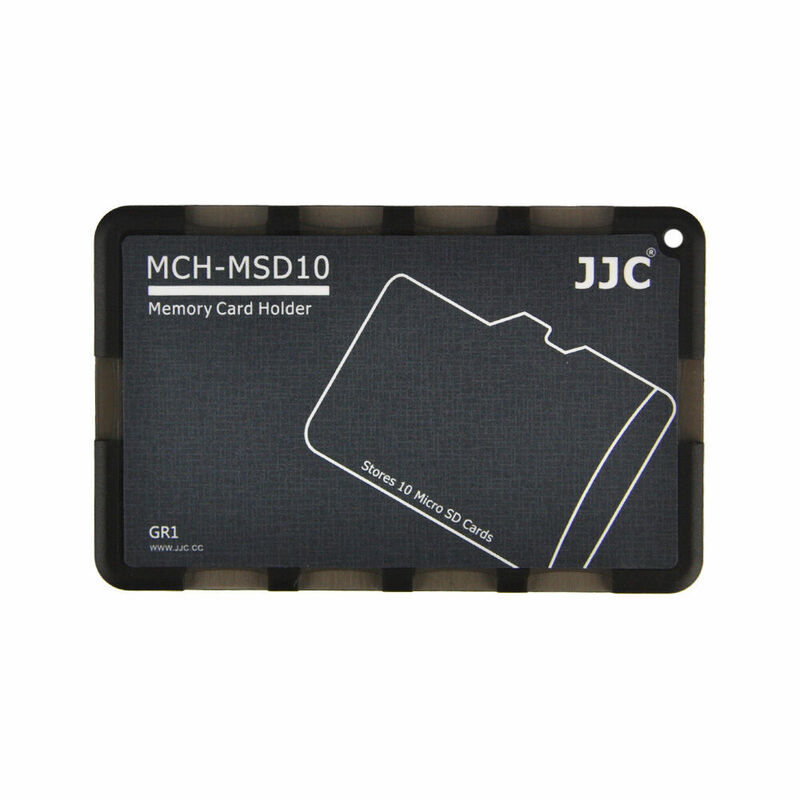 Does anyone else here have their own methods of keeping track of SD cards and similar that they would be willing to share? I’m always up for new ways to improve what i’m doing. They hold 12 full size SD cards and come with little stickers you can write on. Each individual holder has a lid that can pop open like one of those weekly pill cases. Mine are mostly full of the microsd adapters that come with all of my microsd cards and those cards are pretty much always in the devices I’m using them for, so it ends up just being an easy way to clear up clutter. Which is basically this project! Whole thing makes me wish I had finished printing out more of them. I have a couple sitting in my cup-o-cards waiting for me to put things together. For like … a year :-). I think it is a cute design. The SO has a ton of micro sd cards kicking around. I may print one for her. I have a ton of SD cards with various RPi and other SBC linuxes on them, and it got to be a real problem keeping track of their purposes. I grabbed some baseball card organizer inserts for a 3-ring binder and just write whatever is on the SD card on a slip of paper to go in the pocket with the card. works fairly well, one problem is they can fall out if you hold the organizer upside down. 3 plastic sheet cutouts taped together. There’s room for improvement. Oh, I see you can buy things like this now. I have something like this mounted with double-sided tape on an 8×6 whiteboard so that I can label the whiteboard rather than trying to label the card. I’ve said it before and I’ll say it again, shut up and take my money.